The exact number and distribution of NeoPixels in this project is all up to you. My goal was to re-use some half-meter NeoPixel segments remaining from early Firewalker LED Sneakers prototypes. Aiming for a “mad scientist” look — wild, mid-length hair — the half-meter segments were each cut in half, yielding ten strips of 15 pixels each (1/4 meter each, 2.5 meters total). Though “flexible,” these strips don’t really like repeated bending, so keeping them relatively short (above shoulder length) keeps them out of harm’s way — less likely to be bumped or flexed. Longer strips are probably okay for infrequent use but may give out at some point. You can go longer or shorter, more or fewer depending on the look you’re after and your budget. Strips can be different lengths if desired. Both the 30 LEDs/meter and 60 LEDs/meter strip (or a mix) can be used. The former is more affordable but more sparse…looks fine for a random “sparkle” effect, while the 60 LEDs/meter looks better for smooth motion effects along each dread. Don’t use the 144 LEDs/meter high-density strip though…that type doesn’t have the silicone sleeve, which we rely on for extra durability and “body” to the hair. The hair tubes can be ordered from a number of sources online — try Etsy, Amazon or eBay, or a bit of Googling will turn up other sources. Try searching for “cyberlox,” “tubular crinoline” or “tubular crin.” The stuff comes in an amazing variety of colors and patterns. All types will pass at least some light, but lighter and non-metallic colors are best. For a “mad science” headpiece we used a mix of metallic and non-metallic white. The stripey ones are fun too…sort of a Tim Burton aesthetic. Making a full head of hair requires a lot of ribbon! Our headpiece used about 20 meters and was still too sparse — the thin spots needed to be filled out with strips of craft foam. 30 meters of ribbon would have been about right for this design. As this project goes together, parts and connections become progressively more inaccessible. Between that and the need for impeccable soldering, it’s strongly recommended that you work methodically in a mass-production fashion, testing components at every stage. Test the full NeoPixel strip before cutting. Perform soldering on all the sub-strips, then test the lot, setting aside items needing repair and further testing. Seal all the working strips inside tubes, then test again…and so forth, throughout the build process. Going through the whole process for each strip separately would take much longer! If you have extra NeoPixel strip, you may want to make a couple spare dreads in case some don’t work, or for repair or replacement later. 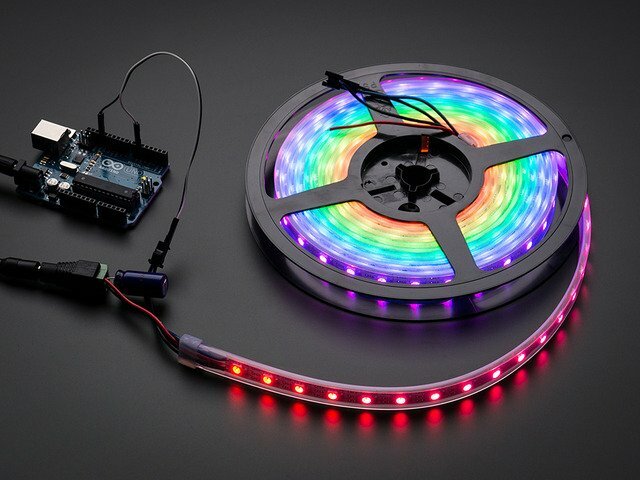 Before starting any of the LED work, test your full supply of NeoPixel strip, whether a full reel or in shorter segments. Run the strandtest example included with the Adafruit_NeoPixel library for Arduino, confirm that all pixels are working. 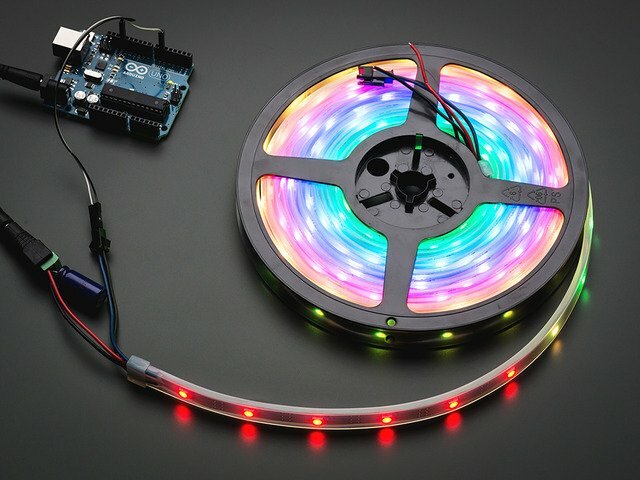 For long strands and whole reels, testing is best done with an Arduino Uno or similar microcontroller; the Trinket only has enough RAM for about 100 NeoPixels. A 5V DC supply powers the strand, with a 1000 µF capacitor to prevent surges to the pixels. 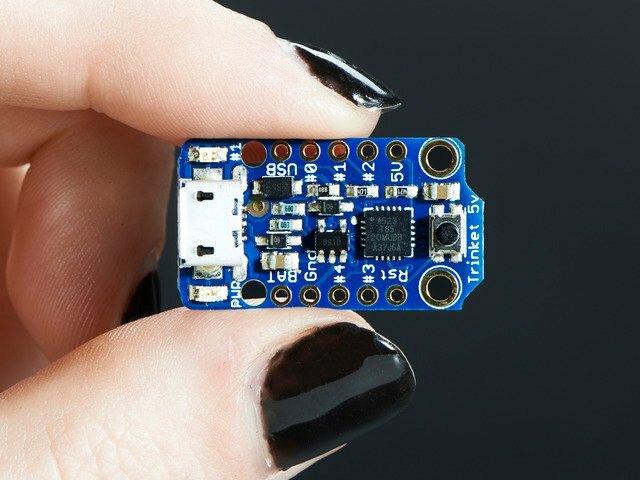 Both ground and data are connected to the Arduino. What are my options if some pixels don’t work? Start a thread in the Adafruit Forums describing the problem, ideally with a photo that clearly shows your wiring and power setup…we’ll take a look and troubleshoot any common problems. If the strip is defective, we can then arrange for an exchange. If you’re in a serious rush and can’t wait for a replacement, and if it’s just one or two bad pixels out of the whole reel: depending how you plan to divide up the strip for this project, you might be able to cut around the bad pixels, salvaging the good segments between them. If starting with a full NeoPixel reel, cut away the end connectors and carefully desolder the wires from the flex PCB. We’ll make new and different end plugs later — they need to be stronger than the factory type. The 2-pin JST connectors (if your strip includes them) may come in handy later. Set them aside, or add them to your parts bin for other things. You should already have a plan at this point for how you intend to divide and distribute the LEDs around the headpiece. Ours was simple: ten equal-length segments of 15 NeoPixels each, but yours might be more complex with different lengths. Sketch it out in advance or try a mockup with a foam wig head and strips of paper. There are electrical and software factors, too. The Trinket board only has enough RAM to manage about 100 pixels, and has a maximum of 5 output pins (our design pairs up the NeoPixel strips, each pair always shows the same pattern of lights). 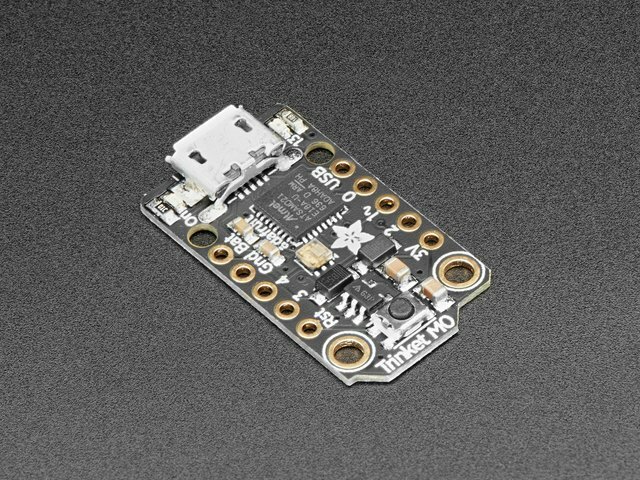 If you need more pixels or fully independent control of many strips, you might need to step up to an Arduino Micro or a Teensy board. At most points along the strip, you can just cut through the covering and the flex PCB with utility scissors. Do not use your nice fabric shears for this! LED flex strips are manufactured in half-meter segments, soldered together to produce a full reel. If one of your planned cut points coincides with a seam, cut through the outer covering with a razor blade or hobby knife, then separate the connections with a soldering iron and a desoldering pump or wick. Alternative: if you’re making different-length strips, see if you can reorder the cuts to skip over these joints. Cut all of your LED sections before continuing. It’s much less tedious to do each of these steps in bulk than to fully work through each dread onesy-twosey. This project, more so than others, requires competent soldering skills and a quality iron in good working shape (you’ll see why shortly). An old hand-me-down iron with a crusty tip isn’t going to cut it, nor will weak “cold” solder joints. Use stranded wire for this project! Solid-core wire does not take well to repeated bending, which wearable projects tend to see a lot of. 24 gauge is ideal, but a little thicker (22 or 20 gauge) can work too. Cut wires for all of your strips: three wires per strip (use different colors), about 10 inches long. Most of these will be trimmed shorter later…a little wasteful, but much less frustrating than trying to plan every wire’s length (and finding you having to splice extra wire later). As with the prior steps, it’s most efficient to do this in bulk; cut the wires for all the LED strips now. Strip just a little insulation from one end of every wire. About 3 mm or 1/8 inch. Again, batch process your work. Strip all the wires! In a moment, we’ll start soldering wires to strips. Slide the covering down a little to expose the strip inside. See those little arrows? Those indicate the direction that data moves. You want to make sure you’re connecting to the input end of the strip, labeled “DIN”. Connect wires to the input (“DIN”) end of the strip. It won’t work otherwise. Line up the first wire with the strip, either with a “helping hands” tool, or just tape both down to a working surface, then solder the connection between them. Tin the tip of the iron and touch it to the wire and copper pad on the strip, allowing both to heat up for a moment before adding more solder. Properly done, solder will flow onto the pad and saturate between the wire strands. If the solder beads up on the surface, that’s a cold solder joint and will soon break. Do not heat a blob of solder on the tip and then move it to the joint. That’s just a recipe for failure. Some people find it easier instead to “tin” the wire with solder, and also the pad, then bring the two together and re-melt the solder. This is not ideal — the flux has already burned away at that point and the solder may be sticky on the iron tip — but sometimes it’s good enough. Repeat with the other two wires. Look closely (click to embiggen). Notice how the solder has soaked well into the stranded wire and spreads out nicely from there to the solder pads — it’s not a blob resting on the surface. Do the same for all your strips now. Let’s get all the tricky soldering done and out of the way. When finished, strip about 3/8" of insulation from the other end of all the wires. After all of your strips are wired up, test each one using the strandtest sketch again. When briefly testing short strips like this, it’s usually okay to power them from the Arduino’s 5V pin. The initial demand for current may cause the Arduino to “brown out” and stop; if the LEDs do nothing at first, try pressing the Reset button. For longer strips, use the same power supply and capacitor as before. If a strip doesn’t light up, make sure you soldered to the “DIN” (input) end, and check for solder bridges or other connection problems. Set aside any problem strips. When you’re done testing the rest, go back and fix the soldering on these. Soldering iron can be switched off for now. Plug in your hot glue gun and get your heat gun ready. Both of these tools use a lot of current. They should be plugged into an outlet with no other major appliances on the same circuit. If there’s a coffee pot or a microwave oven on the other side of the wall, this can trip the circuit breaker if they’re all running at the same time. Run both tools for a moment to check that everything’s okay. And now we do something unspeakable! Our goal is to make sure the solder connections don’t get strained and crack clean off. Yet they’re right at the base of the “hair,” where it attaches to the head. The very point of most flexing. 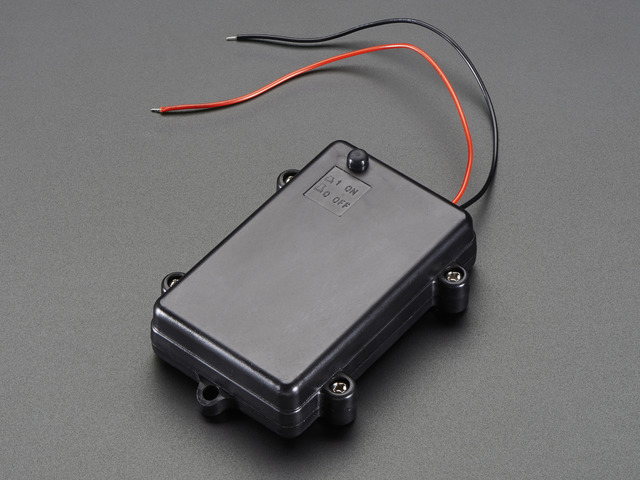 To accomplish this, the connections at the end of the strip need to be potted — encased in a solid material to help resist shock and vibration. This is why the solder connections must be flawless, because they will be inaccessible from this point forward, permanently encased in a blob of plastic. While your glue gun warms up, cut some pieces of clear heat-shrink tube, about 3/4 to 1 inch long. You’ll need two for each strip. The tubing used here is about 1/2 inch in diameter before heating. Slide a piece of tubing over the strip, about an inch from the wired end. The tip of a hot-melt glue gun is nearly 400 degrees Fahrenheit, and the hot air gun is similar. This is more than enough to inflict third degree burns. The following photo sequence shows these tools operating less than an inch from bare fingers. Do not interpret this as “harmless.” These tools WILL bite. Pinch the LED rubber sleeve and inject a dollop of hot glue. Do this on both the back side and front side of the strip. It’s okay if a bit oozes out the end. Quickly, while the glue is still hot, slide the heat shrink down so half its length overhangs the end of the strip. Then begin shrinking the tube with the heat gun. The heat gun really is necessary; a lighter won’t cut it. We’re using a big tube and we’re trying to keep the glue molten at the same time. Turn it over a few times as you work, making sure the tubing is fully shrunk with no wrinkly spots. The still-liquid glue will ooze toward the end as you do this…that’s okay. Turn the heat gun off and hold the strip and wires for about a minute as the glue cools and solidifies. If needed, you can work the shape a bit with pliers during this time. Once cooled: the ends of the strip, the wires and the solder connections are firmly encased in a solid blob of plastic and should be impervious to just about anything. Now the process is repeated at the other end of the strip, without the wires. Slide a bit of heat-shrink tube to the ready position and squirt some hot glue into the LED tube, both front and back. Slide the heat-shrink halfway off the end and start applying heat. As the tube compresses, the glue will spread toward the tip, which might flare out a bit. That’s fine. Turn off the heat gun. While the glue and tubing are still hot, pinch it off tightly with needlenose pliers or a hemostat. Hold it there for about a minute until the glue solidifies. Once cooled, the flared end (and possibly a blob of glue) can be trimmed off for a clean, flat closure. Add a bead of hot glue all the way around the end of the heat-shrink tubing. Hold it for about a minute as it cools off. Don’t set this down before then — it’ll stick to things. The goal is to create a sort of flange at the end that will later be used to secure this strip to another part. Repeat the above steps for all of your LED strips. After all of your LED strips are sealed, flanged and fully cooled, turn off your tools and run all the LED strips through the strandtest procedure again. If you encounter a dud — if a solder connection broke or the strip was damaged from all the heating — your options are limited. Sometimes it’s easiest just to make another, if you have extra LED strip available. Otherwise you can try sacrificing the first LED…cut off the wires and trim the first LED, then strip and re-solder the wires to the input of the next LED and re-test. If it works, seal it up and test again. It’ll be one pixel shorter than before, but most likely nobody will notice the difference. Whew! Take a break. Make sure your glue gun and soldering iron are turned off. This guide was first published on Oct 30, 2013. It was last updated on Oct 30, 2013. This page (Making LED Dreads) was last updated on Apr 23, 2019.